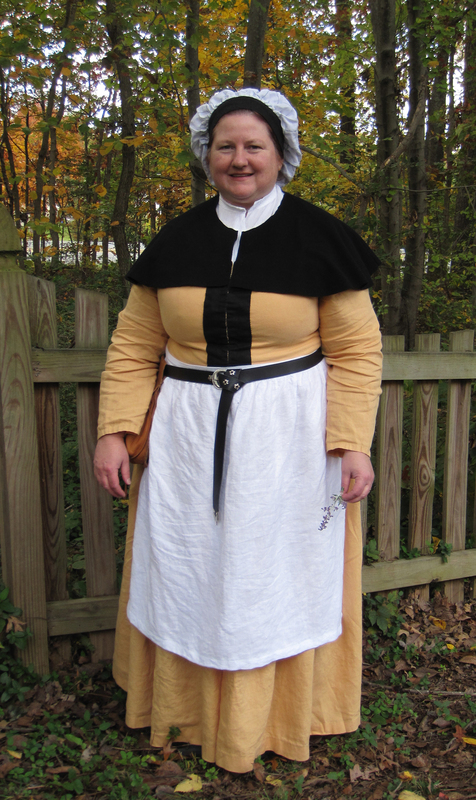 I wore this yellow dress at Pennsic 2012, but I did not have the black wool capelet finished. Today I wore the entire ensemble at Chalice 2012 where I was a judge this year. This dress is made in the same way as the orange Augsburg dress. The reason for making this dress is the new “hat” which is really a large linen coif. The apron is new as well. The capelet is the same pattern as the capelet pattern used for the brown wool capelet, but 4″ shorter around the hem. It still looks too long to me . 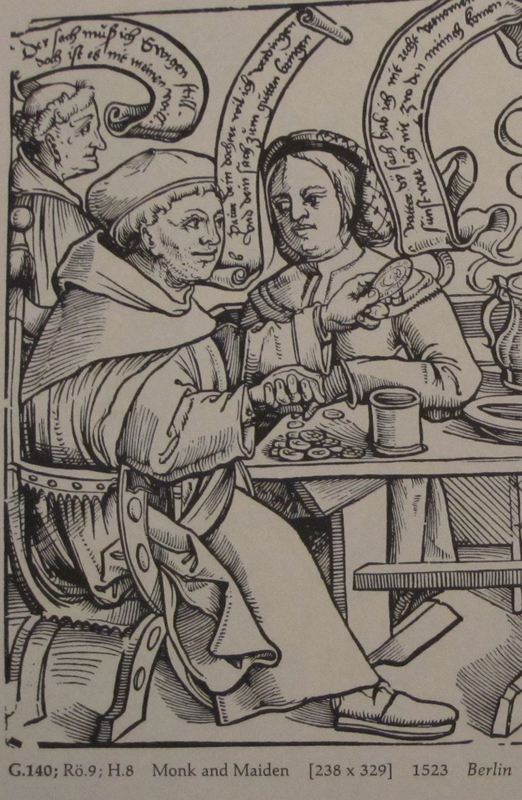 The inspiration woodcut is below from Berlin, 1523.